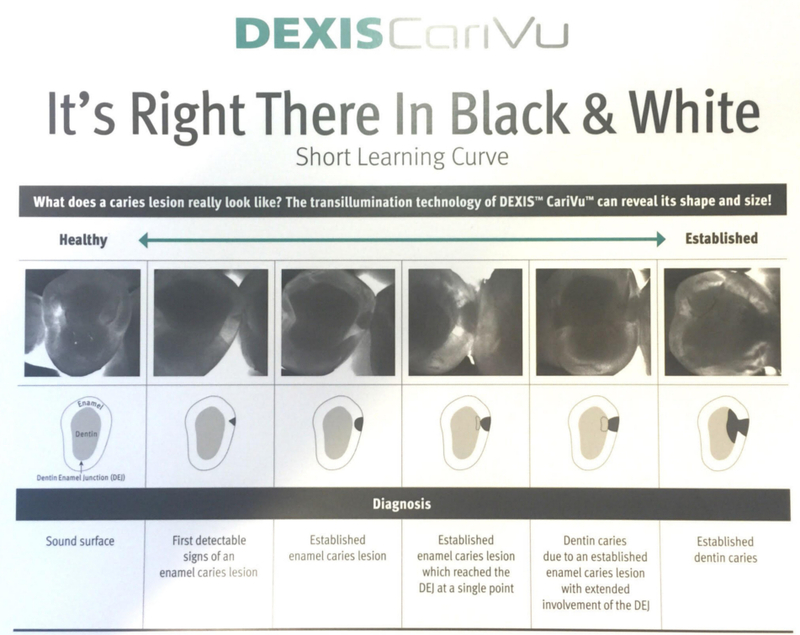 DEXIS CariVu is a compact, portable caries detection device that uses patented transillumination technology to support the identification of occlusal, interproximal, and recurrent carious lesions and cracks. Similar in appearance, DEXIS CariVu images read like familiar X-ray images — lesions will appear as dark areas. This provides an edge over fluorescent imaging technologies in that there is no need to clean the tooth of bacteria, calibrate the device, or become versed in the meaning of multiple color codes or numeric indicators. 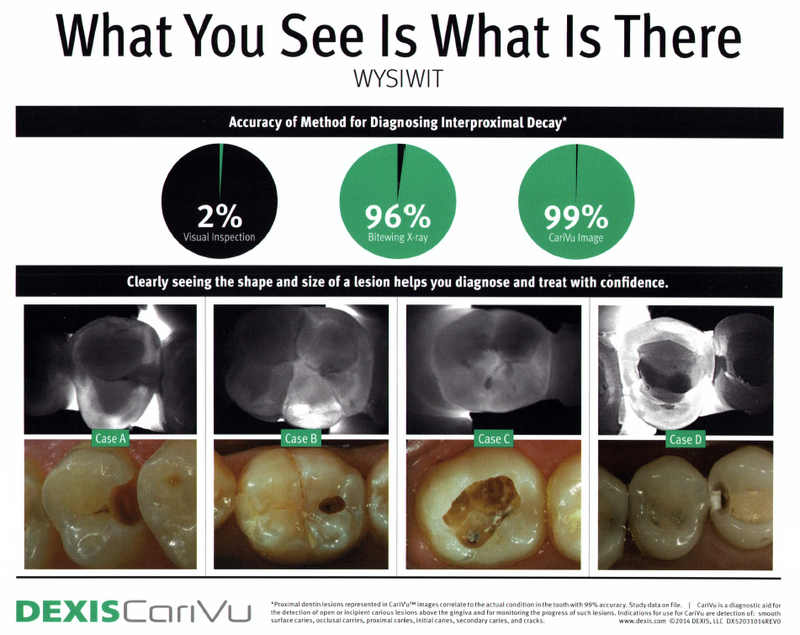 When used together, a radiograph, a transilluminated image and an intraoral photo provide a comprehensive picture of the health of a patient’s tooth.